Leathers inserts built into the TPU outsole combines a timeless look with today’s performance. Pulsar cleats by Softspikes® are the #1 selling cleat in golf and the overwhelming choice of touring professionals worldwide. legs for extra durability and cleat webbing for easier cleaning. 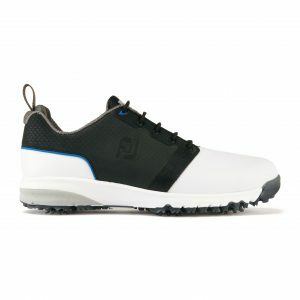 FJ warrants that this golf shoe will be 100% waterproof in normal use for 1 year (EU Warranty).